Celebrating 200 years of Grace, 1817-2017. There is a building excitement at the Grace United Methodist Church. Although it might be more accurate to say there’s a rebuilding excitement. It is hard to pinpoint when the enthusiasm was most recently kindled. It is a feeling and realization that the Spirit of God is stirring in the members of Grace. It might also be explained by the fact that the church at the corner of North and Market streets – the one with the stained glass windows reaching up to the roof – will celebrate 200 years of worshipping God during 2017. Indeed there have been erected three Methodist churches at 301 East Market St. in Washington Court House. 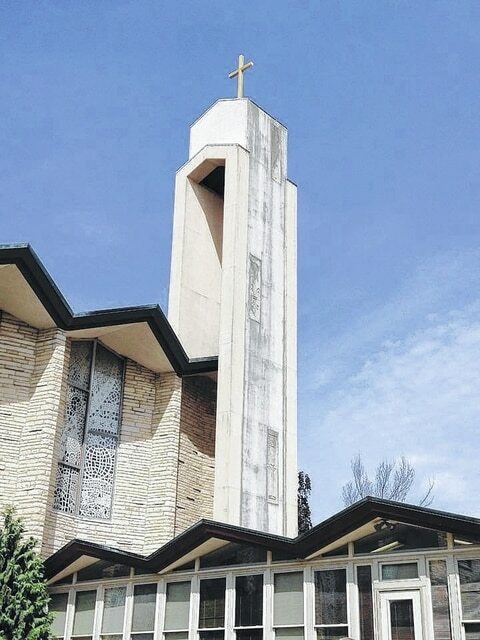 The most recent structure was erected in 1960 and completed in 1961 two years after the fire that destroyed the previous Methodist landmark. But as much as might be made of the structures, the Church is far more than bricks and mortar and glittering stained glass windows. During the entire year of 2017, the people of Grace United Methodist Church will be celebrating a rich history. The proud history of GUMC includes large congregations of people on fire for God. Given the trouble and social unrest so prevalent today, it seems the perfect time to invite God to “Do It Again!” as has been the recent cry from the congregation. In the coming weeks and months we will be sharing stories of individuals and families who have been impacted by the love of Grace Church. We will encourage community participation in celebratory events, and we’ll share details of the historical impact of GUMC over the past 200 years. We invite the community to join us for a year-long celebration of our church’s bicentennial. Join us as we seek to fulfill a loving mission: to go and make disciples of all nations while offering everyone help, offering them hope, and offering them Christ! https://www.recordherald.com/wp-content/uploads/sites/27/2017/02/web1_Current-church.jpgCelebrating 200 years of Grace, 1817-2017.